Capt. Blaine Anderson, Owner of Anderson Guide Services, shows exactly how simple and effective it can be to fish with a circle hook. 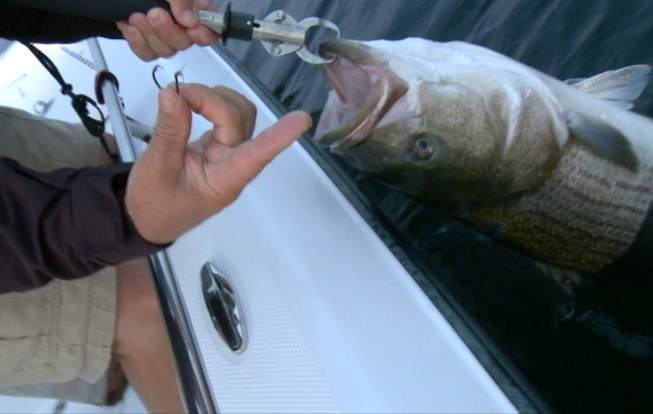 Fishing A Circle Hook With Live Bait -- Capt. Blaine Anderson, Owner of Anderson Guide Services, shows exactly how simple and effective it can be to fish with a circle hook. Controlling Your Boat While On The Drift -- Capt. Blaine Anderson, Owner of Anderson Guide Services, explains how he effectively controls his boat while drift fishing against both tide and wind. Reviving A Fish For Release -- Capt. Blaine Anderson, Owner of Anderson Guide Services, shows us some helpful ways to revive a fish and send him back to fight another day. No matter if your surf casting from the beach, bait fishing from a dock, or a trolling on a boat, these are tried and true strategies that will help you be more effective at targeting fish, and catching more fish, each time you put your line in the water.